Easy to use and quick to deploy. Available across all platforms. 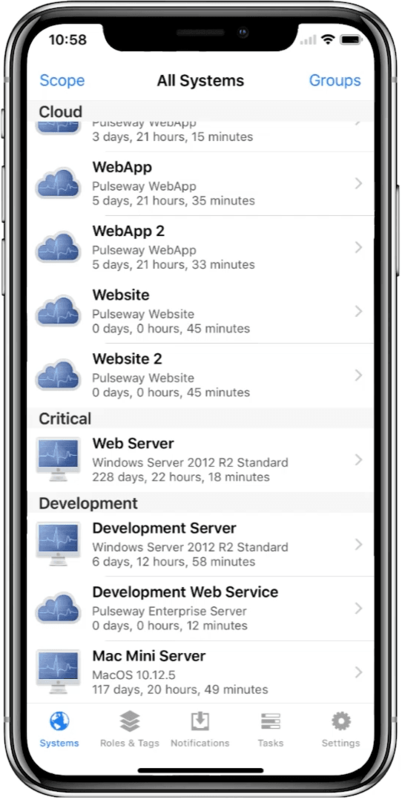 Pulseway offers a complete stack of solutions for MSPs and IT professionals such as, RMM Software, Remote Desktop, PSA, Antivirus and Backup. All powerful on their own - but even better when you use them together. Centrally monitor, manage and automate all your IT systems. 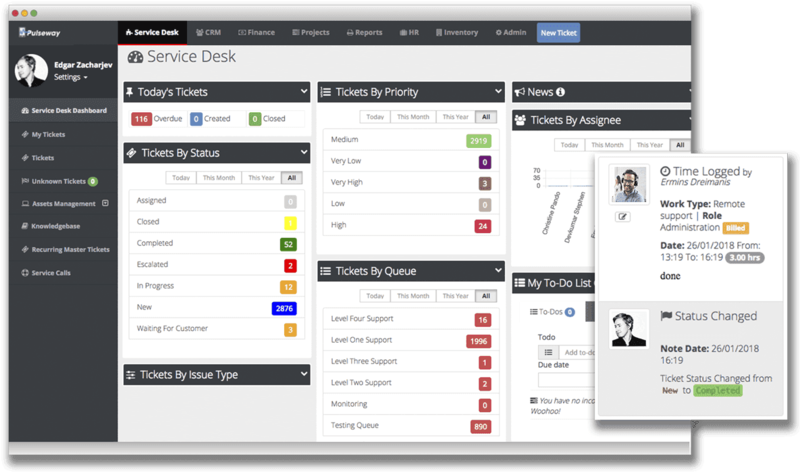 Manage all aspects of your business (Ticketing, CRM, Billing). Complete endpoint and DNS protection for your IT environment. Business continuity and disaster recovery solution. Remotely monitor, manage and control all your Windows, Mac, Linux and Applications from a single pane of glass. "Our clients are now enjoying improvements in support response, infrastructure control and management. This is because Pulseway is a real anywhere anytime solution." 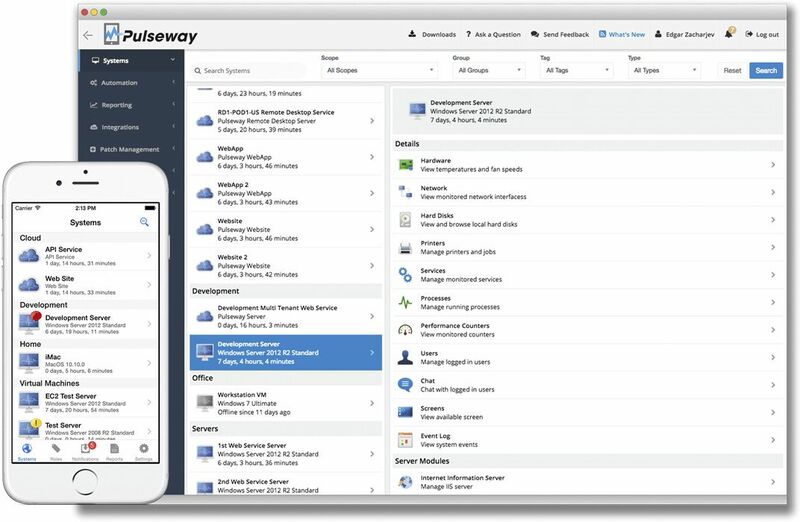 Pulseway’s powerful business management software seamlessly integrates with Pulseway RMM to deliver a powerful and complete solution suite to manage your clients and your business more efficiently. 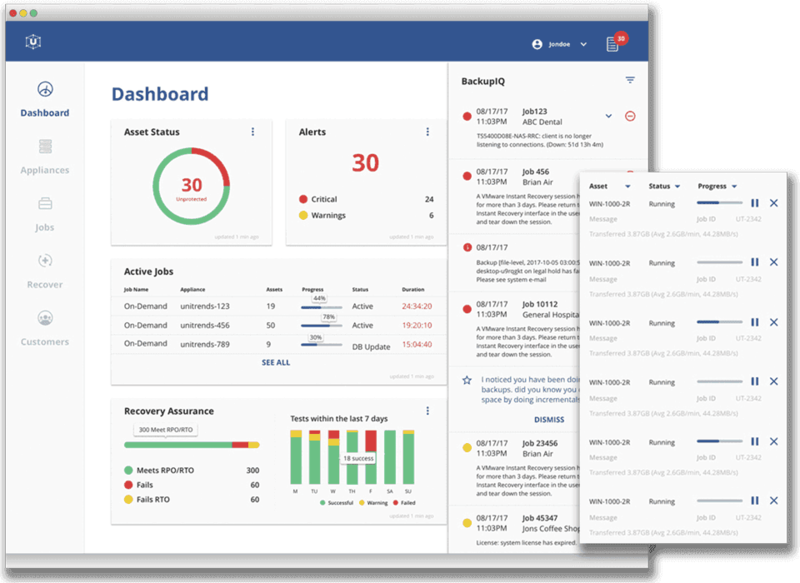 The business management solution includes functionality for ticketing, project management, accounting, CRM, time-tracking, invoicing, billing, help desk and more. 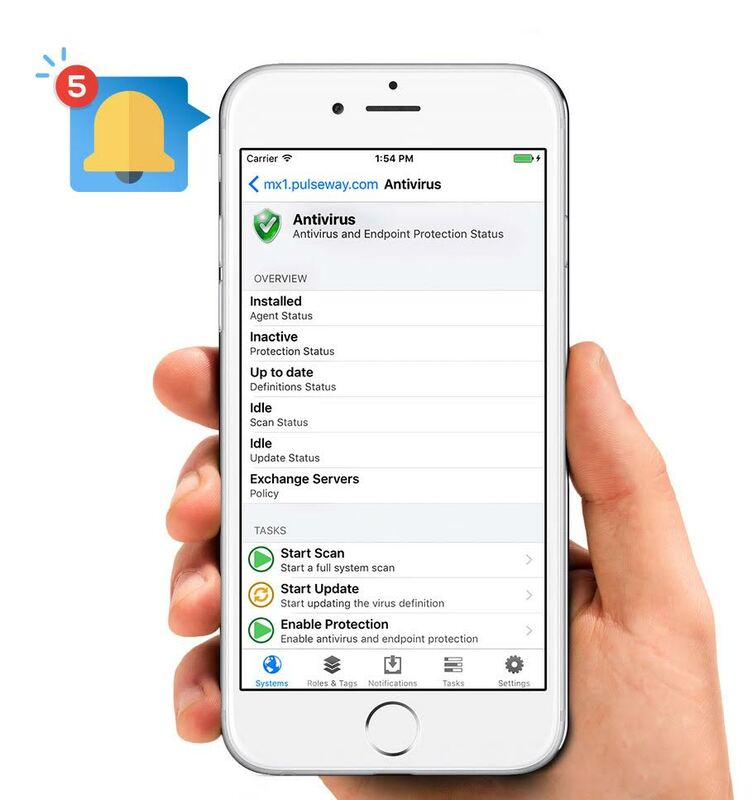 Pulseway Antivirus (powered by Webroot and Kaspersky) ensures that all your IT systems are fully protected at all times. 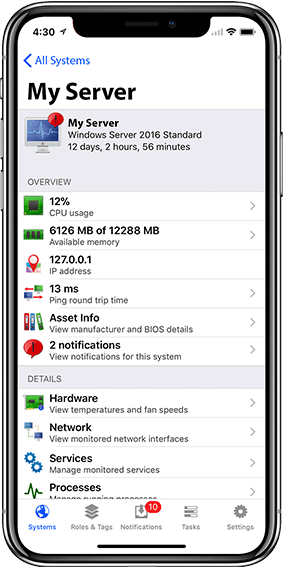 Centrally manage, monitor, configure and deploy Pulseway Antivirus across your IT systems in minutes. Ensure that no matter what type of disaster strikes, your clients’ business systems and data will still be available. Powered by world leading backup solution Unitrends. Recognized as a Visionary by Gartner in the Magic Quadrant for Disaster Recovery as a Service. Your team is most productive when your work process is synced across all your tools. 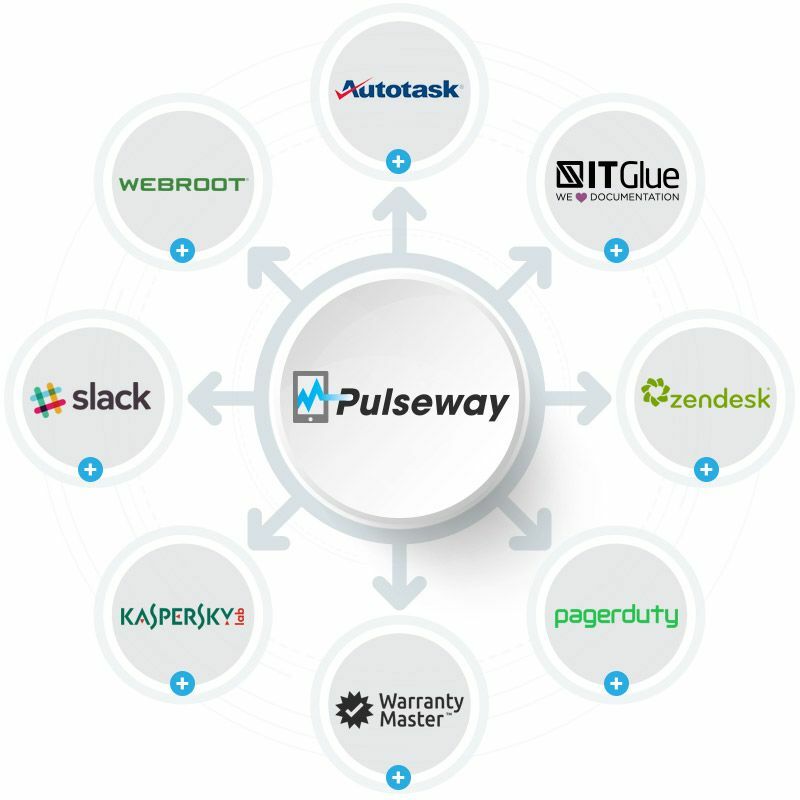 Pulseway integrates extensively with industry leading solutions so that you can optimize the way you manage your workload.